Professional development is a key element of our District's Twinning program, aimed at strengthening ties between teachers and other school staff in different countries who share the Lasallian charism in their schools. Under the program, teachers from New Zealand and Australia, for example, could spend 7-10 days of their school holidays taking classes in a fellow Lasallian school in Papua New Guinea.Long service leave and sabbatical breaks also present opportunities for teachers to participate in the program. They are encouraged to take digital teaching and other basic primary and secondary learning resources with them and to deliver professional development sessions with fellow teachers. Teachers who have undertaken the program say it has fundamentally enhanced their professional work and provided them with unique, on the ground insights into teaching across different cultural settings. There is a particular demand for Australian and New Zealand teachers in Papua New Guinea with expertise in English, Maths, Science and Trade Subjects, including Carpentry, Auto, Electronics and Hospitality. School administration and support staff (finance, IT, property maintenance) are also welcome in the program. "I loved working with the staff and the students and I would be more than happy to go back and do more. I would definitely like to be actively involved in future overseas programs. 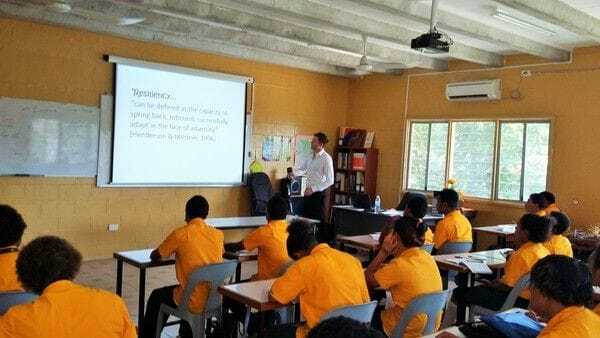 "- Joseph Keane, Health and Physical Education Teacher- De La Salle College Mangere East, Auckland who spent a week teaching at La Salle Technical College in Hohola, PNG. "The students were so appreciative, very polite and eager to learn in an environment where they lack the technology common in our classrooms in New Zealand, including laptops or even a decent internet connection", Peter Smith, Computer Science and Mathematics Teacher at Francis Douglas Memorial College in New Plymouth who also worked at the same school in PNG. "I believe that it would be a great idea for teachers like myself and from other Lasallian schools to exchange places with staff in PNG. This would help up skill the PNG teachers and provide an amazing experience for our teachers to see what the De La Salle Brothers are doing and also help out. It has been a humbling experience for me to see what the children have here and something that I will be able to take back to my own classrooms. It has certainly been an experience that has made me think hard and I can't wait to share it with the students I teach in the future. I would have to say it has changed my life and I need to seriously think about where and what I want do next. It's amazing to think what John Baptist De La Salle began in Paris and where it has gone." 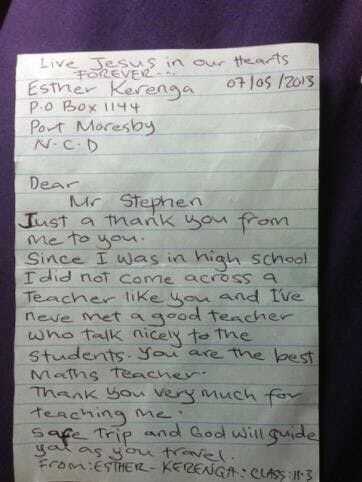 Former John Paul College senior maths teacher, Stephen Parker who spent three months at La Salle Technical College, PNG. "It was a wonderful teaching and learning experience for teachers and students" Br Antony Swamy- Principal, La Salle Technical College in Hohola, PNG on the contribution made by the New Zealand teachers-Joseph Keane, Peter Smith and Stephen Parker at his school. 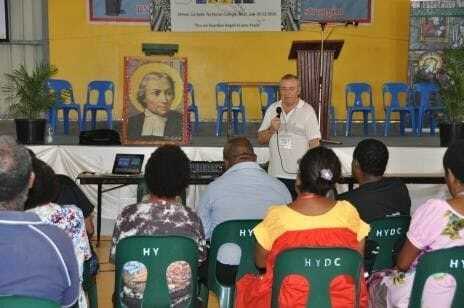 "I came away inspired by their infectious zeal for the Lasallian mission and the way they see it very much as their responsibility to pass on the Lasallian charism to their students" Former De La Salle College Caringbah Principal Mr Gary Burrows who has led professional development sessions for teachers in Papua New Guinea.